In 2013, the discovery of two giant viruses unlike anything seen before blurred the line between the viral and cellular world. Pandoraviruses are as big as bacteria, and contain genomes that are more complex than those found in some eukaryotic organisms (whose cells contain nuclei, unlike the two other kingdoms of living organisms, bacteria and archaea). Their strange amphora shape and enormous, atypical genome led scientists to wonder where they came from. This strange family of viruses, with their giant genomes and many genes with no known equivalents, surprised the scientists when they were discovered in 2013. In the 11 June 2018 edition of Nature Communications, researchers offer an explanation: pandoviruses appear to be factories for new genes – and therefore new functions. From freaks of nature to evolutionary innovators, giant viruses continue to shake branches on the tree of life. Bioinformatic analysis showed that these orphan genes exhibit features very similar to those of non-coding (or intergenic) regions in the pandoravirus genome. Findings indicate the only possible explanation for the gigantic size of pandoravirus genomes, their diversity and the large proportion of orphan genes they contain: most of these viruses' genes may originate spontaneously and randomly in intergenic regions. In this scenario, genes "appear" in different locations from one strain to another, thus explaining their unique nature. If confirmed, this groundbreaking hypothesis would make these giant viruses craftsmen of genetic creativity – a central, but still poorly explained component of any understanding of the source of life and its evolution. 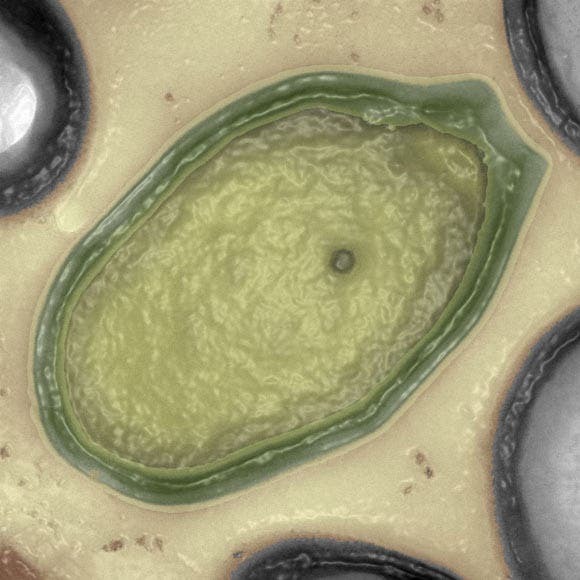 The three new members isolated and added to the Pandoravirus family was accomplished by researchers at the Structural and Genomic Information Laboratory (CNRS/Aix arseille Université), working with partners at the Large Scale Biology Laboratory (CEA/Inserm/Université Grenoble?Alpes) and at CEA-Genoscope.